One of my thrifting spots is Goodwill. I always find great household and clothing items at any Goodwill store that I happen to drop by. 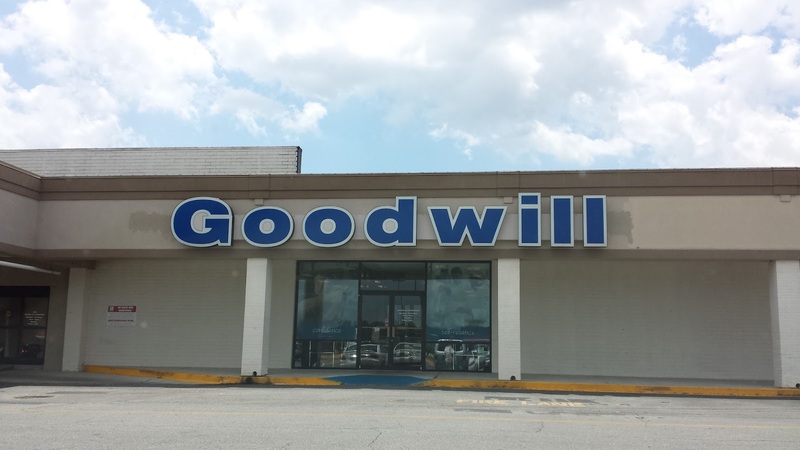 Goodwill's mission is to help train people for the workforce. Our donations make that possible. Goodwill hosts a few major fundraisers each year. I love the idea that Goodwill host at least two major job fairs in central Ga. each year. 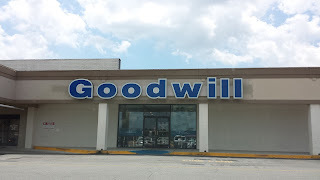 Do not leave Goodwill off your list of thrift shops. They support the "cause" of helping people become self-sufficient and employable! Here is more about Goodwill in their own words. Info retrieved from their website. Goodwill strives to enhance the dignity and quality of life of individuals and families by helping people reach their full potential through education, skills training and the power of work. Goodwill meet the needs of all job seekers, including programs for youth, seniors, veterans, and people with disabilities, criminal backgrounds and other specialized needs. Last year, Goodwill helped more than 26.4 million people train for careers in industries such as banking, IT and health care, to name a few — and get the supporting services they needed to be successful — such as English language training, additional education, or access to transportation and child care.